The Bahama Islands consist of over 700 islands and cay's, most of which are uninhabited, covering over 100,000 square miles of the Atlantic Ocean between South Florida and Hispaniola. Following this article are links to some of the more populated islands. Each Bahama Island has its own unique personality and much to offer tourism. In the 10th century, Lucayan Indians (a branch of the Arawaks) settled in the islands of the Bahamas. The Lucayans had fled the Lesser Antilles to avoid the Carib Indians, who were their enemies, astute warriors and cannibals. The Lucayan Indians were a very peaceful people, who farmed, lived in thatch huts, used stone tools and made their own pottery. They were politically, socially and religiously advanced. Christopher Columbus arrived in 1492 on the Bahamas Island of San Salvador (the former name of on Cat Island), he enslaved them and coupled with new diseases brought by Columbus and crew, wiped out the entire tribe within 25 years. Vacationers enjoy the warm Bahamian reception they receive and the idyllic climate. The temperatures during the summer months are between 80-90 degrees Fahrenheit and in the winter 70-80 degrees Fahrenheit. Night time temperatures are generally 5-20 degrees cooler. The Bahama Islands water temperature varies between 72 to 84 degrees, winter to summer. Even during the rainy season, May through September, the showers generally clear quickly. Most wear casual, summer weight clothing year round and few restaurants require formal attire. The hurricane season runs between June and November. In efforts to ensure you enjoy your vacation, hoteliers have instilled a Hurricane Hotel Policy which offers an immediate refund with no penalties to visitors who cancel a Bahamas Island vacation during a hurricane and also offer the lowest possible rate as well as ample courtesies if you are caught on the island during a hurricane. The Bahamas Islands are populated by an international mix as well as true Bahamians. The lack of income taxes indeed creates this international environment. There are offshore holding companies, secret bank accounts, IBC's and many other lures. However those interested in relocating should be aware that it is not a simple task to obtain a work permit. Employment is offered to Bahamians rather than foreigners, which helps to keep unemployment low. Investors in certain areas are welcomed, and this information is readily available from the BAIC. Contact them at P.O. Box-N-4940, Nassau, Bahamas; telephone 242-322-3740; fax (242) 322-2123. You might wonder how the country manages to budget for services without income taxes? All goods, with few exceptions, have a duty imposed which is the main source of taxation income of the Commonwealth of the Islands of the Bahamas. Duty is measured by a percentage of the value of the goods, said value including any shipping fees. Luxury items are imposed a higher rate than are necessities. Bahamians have exemptions of $300.00, twice yearly. Foreigners however who wish to bring in their own cigarettes or alcohol should be certain to not exceed more than one carton of cigarettes. Liquor is generally cheaper in The Bahamas Islands, but beers and wines can be far more expensive. The limits on alcohol are 1 quart of alcoholic beverage and one quart of wine. Gifts intended for those within the Bahama Islands can be charged duty upon, but, generally you are allowed to bring in your personal effects, apparel, toilet articles and other articles up to $100. Certain items are imported for sale duty free. This offers tourists incredible bargains on some items such as liquor, perfume, watches and photography equipment. The three main income producing areas in the Islands of the Bahamas are tourism, financial/real estate (includes banking) and manufacturing/construction. Please note that we are building our database and do not have articles for each island. Coming soon are: Inagua and Rum Cay. We are also willing to add islands or cay's that you feel are important. Write us and tell us which you think should be noted. Abaco Information regarding the island, cities, economy, development and attractions. Acklins and Crooked Islands information, geography, history. Berry Islands history, fishing, islands and facts. Bimini General information regarding the geography, history, folklore and activities available. Eleuthera Information regarding the island, history and sights. The Exumas Information regarding the Exuma Cay's, history and attractions. 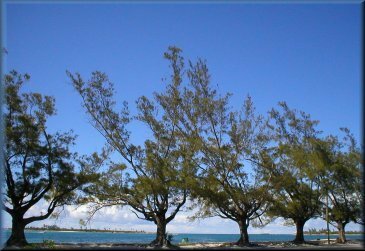 Grand Bahama Island Information regarding the island, cities, economy, development and attractions. Harbour Island Information regarding the island, settlements, history, development, tourism and attractions. Long Island Information regarding the island, settlements and history. Mayaguana Information regarding this island, the "most" out island of the Bahamas. 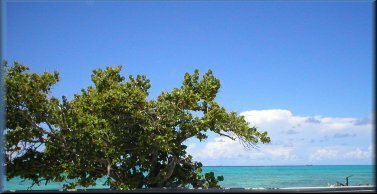 Nassau, Cable Beach, Paradise Island - New Providence Information regarding the island, cities, economy, development and attractions. 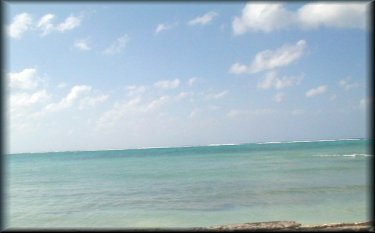 San Salvador Island, Information on the history, folklore, geography, flora and fauna, and more details. Spanish Wells, history, geography and facts.